In stock -This product will ship today if ordered within the next 10 hours and 8 minutes. 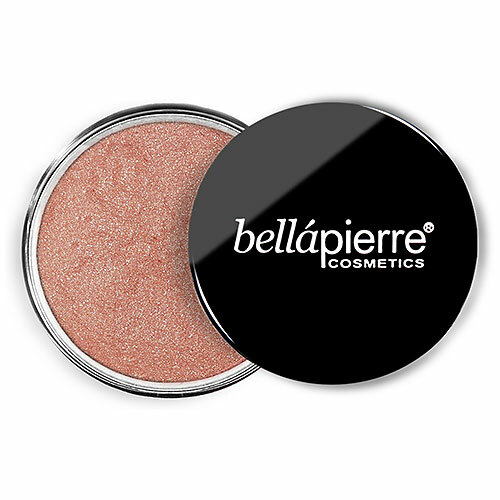 Bellapierre Mineral Bronzer Highlighter features an award-winning silky-smooth powder formula which adds a healthy, sun-kissed glow to any complexion. Recommended by makeup artists and dermatologists, these Mineral Bronzer Highlighters are non-comedogenic, talc and paraben free, and suitable for all skin types and conditions. Mica CI77019, Titanium Dioxide CI77891, Iron Oxides (CI77491 77492 77499). Tap a small amount of powder into the lid of the product using it as a pallet. Using a blush brush dip the brush into the loose powder and tap the end of the brush on a surface to remove excess powder and apply to cheek bones. Apply to areas which the sun would hit to create a natural, sun kissed look. Tip of forehead, cheek bones, chin, and tip of nose. Below are reviews of Bellapierre Bronzer Highlighter - Peony - 4g by bodykind customers. If you have tried this product we'd love to hear what you think so please leave a review.